The huge living room has a beautiful wood burning fireplace flanked by custom built in book cases. It's beamed ceiling still has original light fixtures. 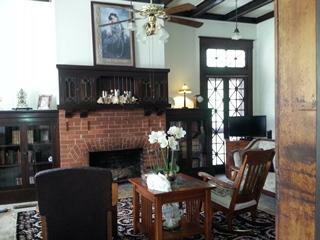 The entire first floor is for your use when you stay at Historic Holle House!